Yesterday I wrote a post about learning and behavior. My post was prompted by an article in Harvard Business Review. One of the statements in that article is "[l]earning--by definition--will always feel inauthentic." That rubs me the wrong way. Educators spend a LOT of time talking about authenticity--authentic learning, authentic feedback, etc. Pretty much anything in eduspeak has had "authentic" tacked in front of it. Just as we're striving for relevance, we're striving for authenticity. Follow me down my first rabbit trail. So, as I said, we talk a lot about authenticity and relevance but it's pretty clear that many classroom teachers and more than a few administrators don't really know what that means, at least in terms of kid's learning. What are authentic tasks? What is relevant learning? In some case what's relevant is subjective based on the teacher's expertise and comfort levels. There are plenty of studies that show the implemented curriculum is often different from the designed one. Why? Too many teachers fear teaching something new or different because they fear negative evaluations and negative observations. Oddly, that brings me back to the surface. Because of those fears, teachers aren't authentic and too much of what they teach isn't authentic nor relevant. Authenticity could get them in trouble as could relevance, but---and here's another hiccup in the planning--what seems relevant and authentic in one school or in one classroom might not in another and for bunches of reasons of which "kids' parents" is only one. 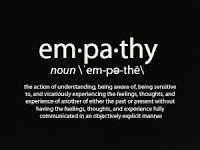 Now let's meander a bit about empathy. 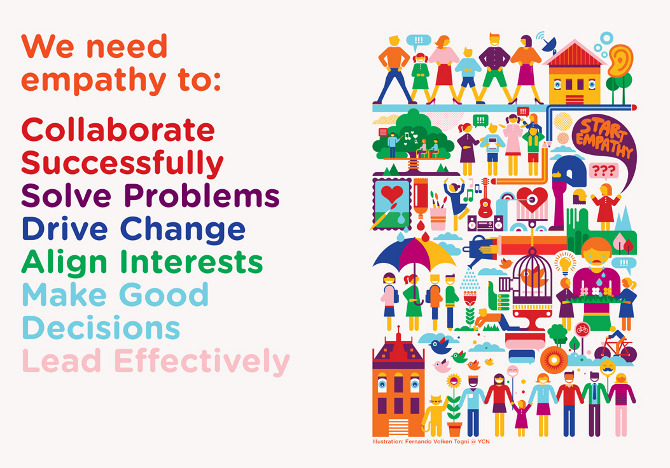 Another HBR article suggests we've entered the age of empathy. Based on many recent headlines I'm guessing that hasn't been made too clear to most everyone, especially Donald Trump. There is an entire organization geared towards teaching kids empathy. What's a little troublesome is that we have to have an organization that promotes empathy and believes that most children don't learn or know how to be empathetic. That would explain somet things. I reflected on my Christmas/New Year's letter in which I mentioned my hope to be kinder and more thoughtful. Yep, more empathetic. More understanding. A better listener in that I listen to hear and not to respond. I've been working on some content for formative assessment and one of the books I read included a reference to listening and how we notice--what they say and how they say it, what they don't say, what they do as they approach a task. For example, I may see students charge into working on a task and others moving stuff around but not "getting to work." It may the students just moving stuff around are thinking, trying to envision something, processing. They work differently. As for how kids respond to a question, am I listening for a "correct" answer or am I listening for how they've processed the question and the information they have as they find their way to an answer? Does the student answer without hesitation and offer what the student thinks is the right answer? If so, what questions might I ask to make sure that student really knows what he or she is talking about? And--here's where the empathy comes in--am I listening to learn more about that student and his or her learning? For example, the student who speaks quietly and hesitantly may be a processor, may be an introvert, may be horrified by talking in public. So then I have to ask what I do to find out more about that student or do I just jump to conclusions? The majority of teachers do what they do because they love learning. They love the interaction with kids; they love seeing that "Aha!" moment when a kid gets something or discovers something. Teachers want to be authentic and want to be empathetic, but they have reasonable fears about student, parent, and administrator responses. If parents and administrators were empathetic and authentic when they talk to a teacher about kids, perhaps that conversation would sound and feel different for everyone. And that might allow a teacher to be authentically empathetic with his or her students, and more authentic in his or her teaching. And that might allow students to be authentic about their learning because they, too, would be less fearful about teacher or parent reprisals. It occurs to me that my favorite teachers exemplified those characteristics and those teachers I've seen who have the easiest manner with their students and who seem to be the most respected and most loved are those who are authentic and empathetic. Tells us something, doesn't it? 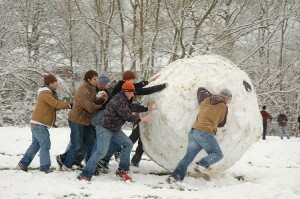 You can find the first post on collaborative group and cooperative learning here. You can find its follow-up post on cooperative learning and accountable talk here. There are many, many strategies for accountable talk, but let’s focus a bit on what accountable talk is and why it can matter. I’m going to return to our friends Doug Fisher and Nancy Frey. They cite the Institute for Learning for offering five indicators of accountable talk. First, pressing for clarification and explanation. Second, requiring justification of proposals and challenges. Third, recognizing and challenging misconceptions. Fourth, demanding evidence for claims and arguments. And fifth, interpreting and using one another’s statements. 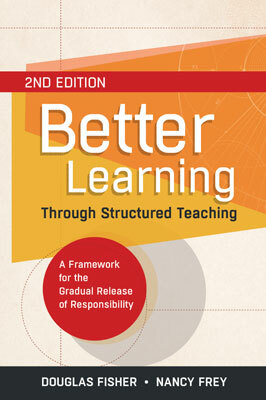 You can find this in their book Better Learning Through Structured Teaching. So let me break this down a bit because, as I like to say, it depends. How you use accountable talk strategies really does depend on your teaching and learning objectives for the day. I don’t think you’re going to have students exhibit every one of these indicators every time you have implement an accountable talk strategy; however, if you have an anchor chart with these indicators, that could be a reminder of what you’re hoping they’ll learn to do through their academic discourse. If you use, for example, the numbered heads strategy, it’s very easy to get to many of these indicators. But not all cooperative learning strategies are necessarily accountable talk strategies. But let’s address a few more strategies that may help you get to both cooperative learning and accountable talk. You may have seen or heard this strategy with a different name because “tea party” might be a bit offputting to some of your students. You might have seen it as a variation of Trains Passing or Not-Quite-Musical Chairs. You can call it whatever you like, of course. In this strategy, students form two concentric circles—the inner circle facing the outer circle. Or they are in two lines facing each other. You ask a question and each student discusses the question with the student facing them. After an allotted period of time—you decide—students in the outer circle move to the left or right, or students in one of the lines move to the left or right. Now students have a new partner. You pose another question for discussion, perhaps building on the prior question or perhaps not. Continue with as many questions as make sense, but, as with any strategy, you want to keep the focus on the content rather than the activity so you might stop at five questions but probably no more than seven questions. That's completely arbitrary, so do whatever makes sense. A variation of this strategy is to give the questions to students as homework or in-class work. Students write their answers on index cards, on sticky notes, in OneNote or whatever if they have tablets. Then they refer to their answers as they go through this activity. Then what? Well, once you have them return to their individual seats, you might have them revise their answers and summarize their learning to hand in to you. Or you might move them to centers to do work based on their preparation through this discussion. Or you might use another strategy to discover what they learned. It’s really up to you. The point of this strategy is to get them discussing their learning, perhaps focusing on guiding questions or key ideas. I don’t know if this is there is an actual name for this strategy, but it’s one I’ve seen used at a variety of grade levels and in a variety of content areas. Students start work in pairs. One student starts the task, activity, or problem while the second student acts as a coach. Then students switch roles for the second task, activity, or problem. But only one student does the work while the other student is the coach. Think about what the coaching student needs to be able to do, other than not grab the pencil to do the work: ask questions to help the student think about next steps and encourage the student when he or she is working in the right direction. In other words, students need to learn how to ask clarifying and probing questions so the student performing the task or activity or working the problem is able to do his or her best, but also have, in essence, a thought partner. At some point, you’ll have each pair find another pair of students to check and discuss their answers. One pair may decide to change an answer, or not. They may add or change their answers in some way. They don’t have to agree with each other unless there is a single right answer to what they’re doing; then they must reach consensus and know why they’ve reached consensus. This is not to be confused with the snowball fight strategy, one that I’ve never found particularly useful though kids love throwing wadded balls of paper. So in this approach, students work in pairs with topics, statements, images, etc. Whatever variety of resources you provide so they can construct learning. You give all students access to all of the same information. Then give them about 5 minutes to work through the resources to construct their learning—they’ll take notes and pose questions in whatever ways that make sense to them; maybe they'll do a little sketchnoting. Then they work with one other student to compare their notes and questions. Then two pairs can form a group of four. Or, if you have specific guiding questions for them to consider as they work through their resources, you might have them work in one pair for one question and another pair for another question. Or they might stay in the same pair to work through all of the questions. This becomes a matter of classroom and time management. At some point, however, you want them comparing the entirety of their constructed learning with a larger group. And this is how it begins to represent a snowball as more and more insight and perspective is added to each student’s learning. I think one of the beauties of accountable talk strategies is that you can use them for different reasons. Students can, for example, check for understanding, they can build background knowledge, they can build understanding, and they can practice analysis and synthesis. You can find some more information about accountable talk strategies for primary grades here where you'll also find some pretty cool other tools, include smore and educreations. You can find other strategies for all grade levels here and you can find posters to support and encourage accountable talk on Pinterest; you might start here. You can find a podcast of this post at https://soundcloud.com/teaching-revolution/accountable-talk-strategies.